AQUA Intelligence (AQI) is a data driven platform on the blockchain that enables consumers to monetize and validate their personal data. Based on these trusted data, AQI creates comprehensive profiles for each consumer. Such profiles will not be shared with any third party and AQI will enforce strict privacy policies for data protection. By leveraging artificial intelligence and other tools, the profiles allow businesses to improve its sales, operational efficiency, profits and the consumer’s experiences. This platform is powered by AQX, a utility token. Current enterprise vendors rely on data that are often incomplete, inaccurate and unorganized when offering products and services to consumers. With AQI, consumers will be able to earn AQX tokens while providing data inputs, validating their existing information and participating in surveys and other activities. With accurate and validated data on the blockchain along with analysis by AI, AQI enables vendors to provide better services and more meaningful and personalized offers to their customers. Personalized offers allow businesses to compete more effectively and reduce sales through third party online services. AQUA Intel is the core of the platform where data is gathered, processed and analyzed. Profiles will be created from consumer inputs through AQM, spending history at retail partners, social media and online sources as well as data from other consumer applications. AQI interfaces with partner’s reservation services and loyalty programs. AI will be used to analyze data, perform online searches, provide responses and make actionable suggestions for consumers and vendors. AQI can also generate marketable data to meet specific needs of vendors. Using AQM, consumers can earn tokens for providing input, validating existing data and participating in other activities such as surveys and reviews. The data provided is securely encrypted on AQUA’s private blockchain. They can also use AQM to manage all their loyalty points across various providers in addition to making travel and dinning arrangements. Tokens can be converted into loyalty points, earn discounts and make payments for services at participating businesses. With the ability for consumers to convert tokens into loyalty points and earn discounted pricing, businesses can expand their product and services to more consumers. AQUA Intel founders have decades of hotel management experience and have developed an innovative, ground breaking PMS (Property Management System) platform that has proven to significantly enhance the efficiency of hotel operations and is currently being implemented in a major hotel chain. We will start in the hospitality verticle and expand to other industries. Tokens earned by consumers can be used for conversion into loyalty points, earn discounts, and pay for services of participating businesses. AQUA’s customers and partners can use AQX tokens and loyalty points to pay for services offered by AQUA. Launched web and mobile based PMS platform for hotel industry. Currently in test properties across Las Vegas, USA. iOS mobile app and web: Improved to V1.1. Partnership and integration with major hotel chain. Prototype of machine learning-based PMS platform. Create working group of in-house blockchain developers and ETH community developers. Finalize the design of our private blockchain. Initiate the migration of legacy hotel data onto our private blockchain. Develop the MVP for the AQUA Mobile App. Build the management team for AQUA. Begin development of the AQUA RMS platform. Launch alpha AQUA RMS platform. Complete architecture of the data platform by gathering data feeds across web platforms, mobile apps, and other third parties. Begin integrating tokens as monetization mechanism via ETH blockchain and Ethereum Smart Contracts. Begin development of data feed, built on keywords and topics generated from our machine learning algorithms. Alternative data partnerships and integration. Network Node Architecture, AI, Machine Learning, and Prediction Model. Private Blockchain Beta – Single Shared. Private Blockchain Beta – Multi State. 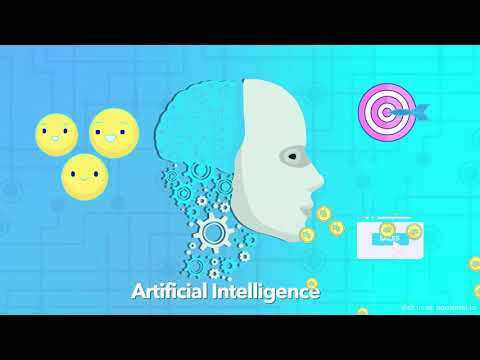 Begin development of AI-based Intelligent Assistant. Develop expansion plan for Europe-Asia-Pacific. Establish relationships with hospitality and retail partners. Expand upon AI-based insight and analysis tools, using historical user activity data amassed from our client base as training set. Begin development of AI-based Intelligent Assistant to help identify, save, retrieve, assess and analyze relevant public information for users. Develop a complete suite of AQUA Solutions for the hospitality industries.